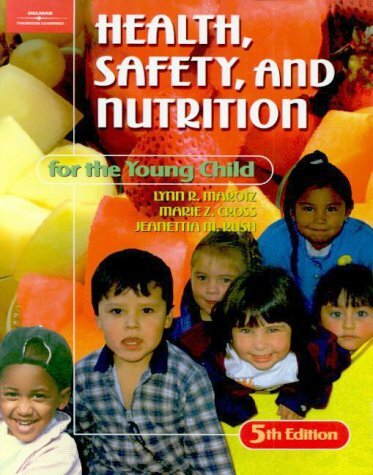 "Health, Safety and Nutrition for the Young Child, 5th Edition" is a must for all early childhood professionals, students, caregivers and parents. This comprehensive and time-tested guide provides a wealth of practical information and stresses the important role early childhood educators, caregivers and parents play in promoting good health for children. This 5th edition contains expanded information on nutrition and such subjects as SIDS, HIV/AIDS, Fetal Alcohol Syndrome and otitis media. The material is presented in a clear, concise and thought-provoking manner and has been completely updated to reflect the latest developments and practices in the field. to authoring invited chapters in many publications and law books, she is the co-author of DEVELOPMENTAL PROFILES: PRE-BIRTH THROUGH ADOLESCENCE, MOTIVATIONAL LEADERSHIP IN EARLY CHILDHOOD EDUCATION, and BY THE AGES (all from Cengage Learning). Her research activities focus on childhood obesity and children's health, safety, and nutrition. She has presented extensively at international, national, and state conferences and held appointments on national, state, and local committees and initiatives that advocate on the behalf of children and families. Marie Z. Cross is Associate Professor Emeritus of Human Development and Family Life at the University of Kansas. She has received the Chancellors Club Teaching Award and the Mortar Board Outstanding Teacher Award.